James L. Cox is Emeritus Professor of Religious Studies, University of Edinburgh,and Adjunct Professor in the Religion and Society Research Cluster, Western Sydney University. He has particular interests in the study of Indigenous Religions, with emphases on Africa, the Arctic and Australia and in methodologies in the academic study of religions. Restoring the Chain of Memory describes and analyses the writings and records compiled by the notable linguist, T.G.H. Strehlow (1908–1978), on Australian Aboriginal Religions, particularly as practised by the Arrernte of Central Australia. During numerous research trips between 1932 and 1966, the local Indigenous Arrernte Elders entrusted him with sacred objects, allowed him to film their secret rituals and record their songs, partly because he was regarded as one of them, an ‘insider’, who they believed would help preserve their ancient traditions in the face of threats posed by outside forces. Strehlow characterized Arrernte society as ‘personal monototemism in a polytotemic community’. This concept provides an important insight into understanding how Arrernte society was traditionally organized and how the societal structure was re-enforced by carefully organized rituals. Strehlow’s research into this complex societal system is here examined both in terms of its meaning and current application and with reference to how the societal structure traditionally was interwoven into religious understandings of the world. It exemplifies precisely how the ‘insider-outsider’ problem is embodied in one individual: he was accepted by the Arrernte people as an insider who used this knowledge to interpret Arrernte culture for non-Indigenous audiences (outsiders). This volume documents how Strehlow’s works are contributing to the current repatriation by Australian Aboriginal leaders of rituals, ancient songs, meanings associated with sacred objects and genealogies, much of which by the 1950s had been lost through the processes of colonization, missionary influences and Australian governmental interference in the lives of Indigenous societies. Restoring the Chain of Memory describes and analyses the writings and records compiled by the notable linguist, T.G.H. Strehlow (1908–1978), on Australian Aboriginal Religions, particularly as practised by the Arrernte of Central Australia. During numerous research trips between 1932 and 1966, the local Indigenous Arrernte Elders entrusted him with sacred objects, allowed him to film their secret rituals and record their songs, partly because he was regarded as one of them, an ‘insider’, who they believed would help preserve their ancient traditions in the face of threats posed by outside forces. Strehlow characterized Arrernte society as ‘personal monototemism in a polytotemic community’. This concept provides an important insight into understanding how Arrernte society was traditionally organized and how the societal structure was re-enforced by carefully organized rituals. Strehlow’s research into this complex societal system is here examined both in terms of its meaning and current application and with reference to how the societal structure traditionally was interwoven into religious understandings of the world. It exemplifies precisely how the ‘insider-outsider’ problem is embodied in one individual: he was accepted by the Arrernte people as an insider who used this knowledge to interpret Arrernte culture for non-Indigenous audiences (outsiders). This volume documents how Strehlow’s works are contributing to the current repatriation by Australian Aboriginal leaders of rituals, ancient songs, meanings associated with sacred objects and genealogies, much of which by the 1950s had been lost through the processes of colonization, missionary influences and Australian governmental interference in the lives of Indigenous societies. The Preface sets out the aims of the book, the outline of chapters and then discusses particularly sensitive issues raised by an outside researcher writing about Australian Indigenous peoples, their culture and the current repatriation of knowledge project being undertaken in Central Australia. A point of importance relates to how secret knowledge, traditionally available only to initiated men, is treated in the book. Reasons are provided in support of the author’s decision to introduce into contemporary studies a description and analysis of the writings of T.G.H. Strehlow on the myths, ceremonies and social structure of Arrernte religion and culture. This chapter provides basic background to the argument of the book that T.G.H. Strehlow (1908-1978), as a key interpreter of Indigenous Religions in Central Australia, continues to play an important role in contemporary movements to repatriate Australian Indigenous knowledge. The context for Strehlow’s life and writings is provided by outlining the main language groupings of the peoples of Central Australia among whom Strehlow lived and worked, principally the Arrernte. This is followed by introducing the reader to Strehlow’s biographical details, including his early years as the only white child living on the Hermannsburg Lutheran mission located approximately 130 kilometres west of Alice Springs, and the forty years he spent as an adult researching the peoples of Central Australia during which time increasingly he became committed to preserving and interpreting what he considered the disappearing religious and cultural traditions of the central desert peoples. His final years were overtaken by controversy concerning who ‘owned’ the knowledge he had procured from Indigenous leaders, including the films, transcripts and sacred objects he possessed. The last half of the chapter analyses three important writers, Strehlow’s ‘detractors’, who have provided critical accounts of Strehlow’s life: Ward McNally, Barry Hill and Tim Rowse. The chapter concludes by suggesting that the controversies which surrounded Strehlow during the final decade of his life have overshadowed the substantial contribution he made to interpreting the religious, social and cultural life of the Indigenous peoples of Central Australia. This chapter establishes the theoretical base on which the analysis of this book proceeds. After outlining a theory of religion as the transmission of an overwhelming authoritative tradition that is passed on from generation to generation, or what the French sociologist Danièle Hervieu-Léger calls a ‘chain of memory’, Indigenous Religions are described as limited by two key concepts: kinship and locality. The chapter then considers the breakdown of memory as evidenced in the decline of religion in contemporary societies and by the demise of traditional religion in Indigenous contexts. It is on the basis of these key theoretical constructs that the writings of T.G.H. 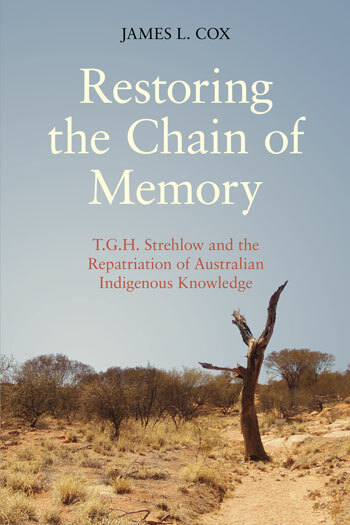 Strehlow are presented in later chapters and which form the basis for the author’s analysis of the repatriation of knowledge movement now developing in Central Australia. Chapter three analyses Strehlow’s accounts of the stories and myths about totemic ancestors on which the Arrernte have built their entire religious worldview and on which their social structures traditionally were based. This involves a discussion of how Strehlow corrected common misconceptions about ‘Dreamtime’ as promoted initially by Baldwin Spencer and F.J. Gillen and now is maintained in popular literature as synonymous with pan-Australian Aboriginal religion. His studies also demonstrated that the adoption of the Indigenous word altjira as equivalent to the Christian God is equally erroneous. The chapter concludes by emphasising the significance for contemporary Arrernte leaders of Strehlow’s research that linked myths of the totemic ancestors to his detailed genealogical records. In an article first written in 1964, and later published as an occasional paper by the Australian Association for the Study of Religions (1978), Strehlow described the social organisation of the Arrernte peoples by the term, ‘personal monototemism in a polytotemic community’. Strehlow’s intricate description of this complex system demonstrates that, unlike many other Indigenous ancestral traditions, among the Arrernte one’s personal totemic ancestor is not determined by kinship or lineage, but by the ‘conception site’, which is defined as a place associated with a totemic ancestor where the future mother first became aware that she was pregnant The particular totemic ancestor could be, for example, the honey-ant, the kangaroo or the native cat, each of which in the times of beginnings had left trails as they wandered along the land before going back into the natural environment making the various hills, rocks and geographical formations that now define the contemporary landscape. A child then is the reincarnation of the particular totemic ancestor at whose sacred site the mother first became aware of her pregnancy. This means that members of the same kinship group normally have different personal totemic ancestors, but, at the same time, major sacred ceremonial sites unite extended families under the banner of the principal totemic ancestor associated with the site. Although on first reading, Arrernte religious identity appears highly individualised, groups were bound together in a clearly delineated and carefully controlled social order, which was reinforced by ceremonial cycles. By analysing this key concept, this chapter discloses the lynchpin by which traditional Arrernte society was maintained. Although he wrote numerous articles, delivered many public lectures and participated in discussions about the changing condition of Australian Aboriginal peoples, Strehlow’s most significant academic contribution to interpreting Arrernte culture and society is found in the publication Songs of Central Australia (1971), described by A.P. Elkin as Strehlow’s ‘magnum opus’. In addition to containing insight into the religion and society of the peoples of Central Australia, Songs of Central Australia recounts in Arrernte and in English sacred songs and chants performed during secret ceremonies. By presenting details of the songs chanted during major rituals, Strehlow enabled his readers to see Arrernte religion in practice. As such, for the outsider, unfamiliar with the Indigenous language, it offers a living picture of the content and meaning of the principal religious ceremonies of the Arrernte. This chapter primarily analyses selected ‘songs’ recorded and described by Strehlow, with a particular focus on initiation and increase rituals. This chapter considers the judgement of T.G.H. Strehlow that the transmission of religious knowledge and with it the collective memory, had been so disrupted among the Arrernte people that, for all practical purposes, such knowledge had been irrevocably forgotten, or as he put it, disappeared into ‘oblivion’. The concerted efforts by white settlers, Government agents and missionary organisations to replace Indigenous culture with the values and practices of the colonising culture provided one of Strehlow’s chief motivations to preserve records of the rituals, ceremonies, stories, social obligations and genealogies as he found them when he began conducting research in Central Australia in 1932. He argued that the memory of ancient traditions was preserved exclusively in his notes, recordings, photographs, films and other documentation he had collected. The concluding section of the chapter asks if Strehlow was right in his conclusion and examines contrary evidence relevant for the repatriation of knowledge movement currently being implemented at the Strehlow Research Centre in Alice Springs. After having completed the review of Strehlow’s own writings about Arrernte myths, social organisation and ceremonies in the previous chapters, chapter seven draws conclusions about the theoretical method Strehlow employed when gathering research data and interpreting his findings for outside audiences. The argument is made that, although Strehlow never referred to himself in such terms, it is accurate to call him a phenomenologist of religion. This is derived in the first instance from his claim to be an ‘insider’ to Arrernte culture based on his childhood experiences, his linguistic competence and on the trust demonstrated in him by senior Elders. He also stood back and operated as an ‘outsider’ when interpreting meanings associated with Arrernte religious customs. In these ways, he fitted into a model of research based on the assumption widely shared by phenomenologists working in the field of the academic study of religions that the aim of their research is to achieve an understanding in-depth of the communities they are studying. After outlining key concepts associated with the phenomenology of religion and the phases in its implementation, Strehlow’s approach is examined and found to reflect the principal aims associated with the phenomenological method in the study of religion. Repatriation often is associated with returning to their rightful owners the remains of Indigenous individuals or objects that were held sacred by members of the society. During colonial times such artefacts had been taken from Indigenous peoples and transported to museums or other sites, often located in Europe or in the major cities of the countries that had been established by colonial authority. It is a complicated process to determine who are the ‘owners’ of the objects returned and where they should be housed. In the case of T.G.H. Strehlow, numerous objects that were used in rituals were given to him, many of which in recent years have been returned to the Elders and are kept in the Strehlow Research Centre in Alice Springs. What may be more significant in the case of Strehlow is what is being called the ‘repatriation of knowledge’. Strehlow collected a vast amount of data in the form of recordings, writings, translations, films, notes, photographs and genealogies. This chapter describes how Strehlow’s records are being used by the repatriation team located at the Strehlow Research Centre in Alice Springs and how his Collection is being consulted by Indigenous families and Elders. Interviews by the author with leaders in the repatriation project are included, as well as citations from public presentations conducted by Indigenous workers at the Strehlow Research Centre. 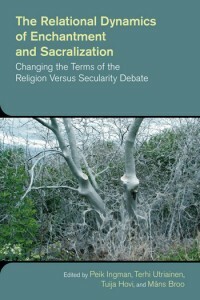 Chapter nine returns to the discussion introduced in chapter two where religion was restricted to an authoritative tradition that is preserved and transmitted from generation to generation and in which Indigenous Religions are defined as traditions that are bound to ancestors and that operate in strictly delineated geographical locations. 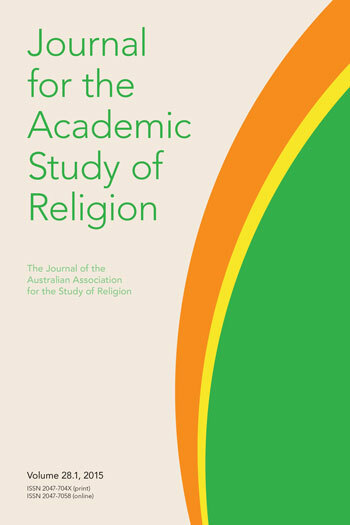 It is argued that the research presented in this book on Strehlow and the contemporary repatriation of knowledge movement confirm the author’s theoretical starting-points and encourage an empathetic understanding of Indigenous Religions in Central Australia in ways consistent with the principles advocated by the phenomenology of religion. This is followed by a discussion of two remaining fundamental issues relevant to the themes discussed in the prior chapters: types of knowledge and the relationship between tradition and modernity. The book concludes with the contention that the collected work of T.G.H. Strehlow functions not only as a dynamic source for Indigenous communities as they respond creatively and positively to the changing circumstances occurring within Australian society but also that his extensive research in Central Australia, although concluded more than fifty years ago, can make a significant contribution to contemporary global studies in Indigenous Religions. James L. Cox’s Restoring the Chain of Memory: T.G.H. Strehlow and the Repatriation of Australian Indigenous Knowledge is a fascinating, painstakingly researched, timely and immensely valuable study of the scholarly achievement of Ted Strehlow in preserving in textual and material form the culture of the Arrernte people of Central Australia. Cox argues for a revaluation of both Strehlow’s career and Arrernte traditions, using Danièle Hervieu-Léger’s concept of the “chain of memory” to demonstrate that the Indigenous rituals, songs and objects that Strehlow preserved have become, in the 40 years since his death, a means for contemporary Arrernte Elders to repatriate their own ancestral knowledge. Restoring the Chain of Memory is an important book for all people interested in Indigenous religions, anthropology of religion, and the history of interactions between early twentieth century scholars and the colonized peoples they lived and worked alongside. This highly original book provides a phenomenological account of the life and work of the anthropologist T.G.H. Strehlow on indigenous religions in Australia. Through an application of social memory theory, it also details his contribution to the preservation and restoration of Indigenous knowledge in Central Australia. This will be a core text for the study of religion in Australia and more specifically of Indigenous religions. In Restoring the Chain of Memory Professor James Cox guides the reader through T.G.H. Strehlow’s life work of recording Aboriginal songs, ceremonies, stories and traditions, evaluating and interpreting Strehlow’s monumental and pioneering work with refreshing clarity and sensitivity. He provides valuable insights into the enduring value of Strehlow’s legacy for the current academic study of Indigenous religions and for Indigenous communities which are seeking to restore their lost traditions. Achieves its aim of illustrating the important role that Strehlow played in academic and indigenous chains of memory, and contributes handsomely to the study of indigenous religions.